Protik group job circular 2019 has been published. It’s a huge opportunity to unemployed people, who want to do in this sector. Protik group 2019 is the most popular group in Bangladesh. To get Protik group job circular 2019 related all information, you can visit my website that is jobs.lekhaporabd.com. Protik group think that young and energetic people are the key to success in this sector that create brightness in Protik group. Protik Group focuses on ever growing demand of the nation such as; Housing,Food, Defense, Health, Hospitality Ceramic Table Ware (Porcelain and Bone China) file.Protik group offer people for exciting career opportunities. Educational qualifications are too much important for this job If you want to apply for this job, you should submit your application within short time. 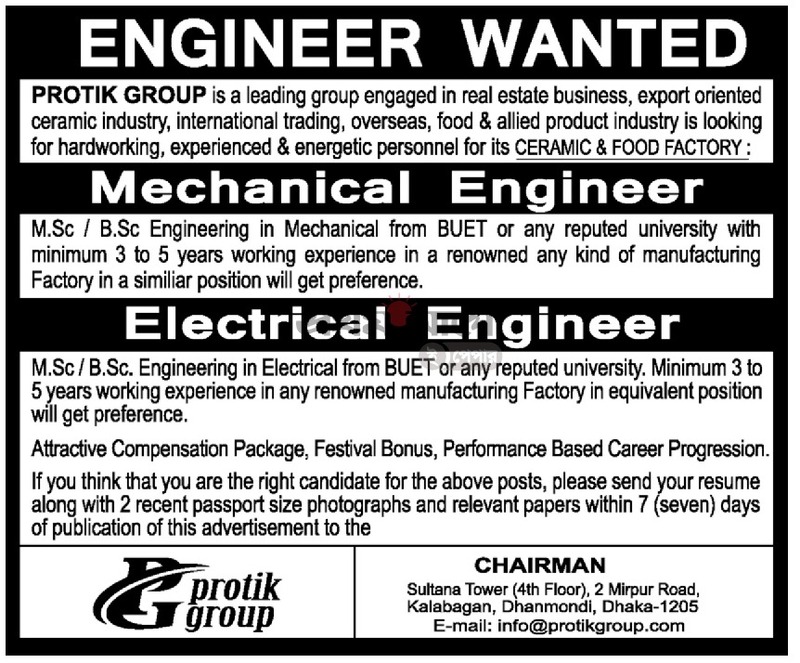 Protik group job circular has been given below.